On the streets of Gotham, the Penguin has risen to power. Fish could not be more displeased than to find that not only is Penguin still alive, that he's working with Maroni. Fish wants Gordon brought to her ASAP. Gordon calls Barbara to tell her to get the heck out of dodge. This whole Penguin thing is going south quickly. Harvey holds Gordon at gunpoint. He thought they had become friends, and now he has to kill Gordon, drag his body pack to Falcone and beg for mercy. Gordon knows that he screwed up, but he has a plan to make things right, and he wants Harvey's help. A distraction gives Gordon the upperhand as he knocks Harvey to the floor. He asks again for Harvey's help. Neither of them have to go down, but Harvey wants nothing to do with it. Barbara ignores her calls, Butch is making himself at home in her penthouse. He loves all the sights, both her and the apartment. Butch tells her that Gordon was suppose to kill someone for somebody, and he didn't and now that somebody is really mad. Barbara realizes that Gordon didn't kill Oswald afterall. Butch tells Barbara that Gordon is a lucky man to have such a smart and beautiful girl by his side, and asks if she's ever been with a criminal. If he wasn't so overly campy, he might be more creepy. Gordon arrives, gun pointed, and he wants them out. He knows that they have orders to bring him in alive, or he'd already be dead. Gordon forces the other man to drop his gun or he'll kill him. Butch threatens to kill him and then Barbara, and Gordon shoots one and knocks out the other. It's time to go. Gordon takes Barbara to the bus station, but he's not going with her. He has to stay to clean up this mess. He needs her to leave so that he can do this job though. She worries that he won't make it out, and if that happens he tells her not to come back to Gotham. Barbara reluctantly boards the bus and rides out of Gotham. Gordon heads back to the precinct, and gets a silent reception. He calls to Alvarez for a blank warrant. Alvarez hands them over. Fish gores to Falcone. She wants Gordon, Harvey and Cobblepot dead immediately, even Maroni if need be. Falcone doesn't want to start a war over Cobblepot, seeing him as too insignificant. Fish thinks he's very significant. He's seen too much. Niko doesn't care about Cobblepot, but rather thinks that they need a show of strength. Fish reports that Gordon after refusing to come in, went into work like nothing is wrong. Falcone plans to send Victor in to fetch him, even though Fish thinks her guys can handle it. Falcone won't hear of it as he looks over his chickens. Niko cozies up to Fish, though she warns him to fall back. Niko thinks its time to pick off the old man. She's concerned by Falcone's happy demeanor, he hasn't touched the girl she sent in. He merely watches her do chores. He's acting as if he knows something important that no one else knows, and that worries her. Captain Essen wants to know what Gordon is doing. He's assigning arrest warrants for the mayor, Falcone, and some their close associates for a laundry list of crimes in connection to the Wayne's murders. Captain Essen is sure that Gordon is crazy, no one will touch those, and even if they did there is no one who would be willing to prosecute. She's sure that no one is willing to help. Gordon knows that there would be people who would help if they knew that there was a chance to clean up the city. She urges Gordon to get out while he still can, but he's not leaving. Victor Zsasz arrives at the precinct, and he's not quiet about his entrance. Standing on a desk he introduces himself and tells everyone that he's there for Jim Gordon, and suggests that everyone else should mind their own business. Victor calls out Gordon, telling him to relax, he's to take Gordon in alive. He'll talk with Falcone, but not today. Gordon feels confident that he won't get far, the place is full of cops, but when Victor orders them out, only Captain Essen remains. Gordon tells her to leave so that he can handle Victor and his associates. Gordon engages in a gunfight with Victor and his people. One of them manages to shoot Gordon in the side, but he gets away. Gordon doesn't let a little side wound stop him from running. He heads down to the garage, but Victor and his people are close behind. Victor taunts Gordon as he ducks behind a vehicle. Victor does not appreciate his hiding. A female cop comes in to find Victor and his people, and she hollers at them. Obviously she wasn't in the precinct earlier. They shoot at her, giving Gordon a chance to escape. Victor shoots him in the back before he can get too far. Luckily Montoya and Allen come to his rescue. The female cop isn't so lucky. With Victor's prey having escaped him, he goes and finishes killing her, and adds another kill notch to his arm. Gordon awakens on a small bed surrounded by rat cages. The doctor is a friend of Montoya's and she check him over, making sure he's fine after having removed two slugs from him. He's at the dissection lab at the university. He's only been out for a couple of hours, and Gordon is ready to get going again. He wants to leave immediately, even though the doctor tells him that it could be detrimental. He's lost a lot of blood, and needs help standing. Even Allen tries to slow him. He'll need to get dressed at the very least. Fish tries to appeal to Maroni, snitches get stitches and all. Maroni knows that he should hand over Penguin, but he amuses him. Fish claims that by keeping him, Maroni may be starting a war. Maroni wonders what the value of Penguin is to them. Fish claims he is of no value. It's not about value, but rather respect. Maroni understands respect, and so he has Cobblepot come out and issue a most sincere apology to Fish. Bloodshed it is to be then. Fish threatens the poor boy, and delivers a heck of a blow for calling her Fish. Maroni is amused by the entire exchange. Butch finds a gaggle of nuns. A Maroni delivery truck is stopped short by the chained nun barricade. Butch delivers a message as he takes the cargo. None of Maroni's trucks will make it across the bridge until the Penguin is delivered. Maroni is very angered about the gun truck. Penguin knows that they don't think that they can scare Maroni, but they are trying to get under his skin. Maroni is looking to strike back, he doesn't think a pay off is in order, and he's not willing to give up his golden goose. If Maroni wants to strikeback, then Penguin knows where to hit. Only Frankie sees just how far Penguin has risen, and he does not like it. Montoya owes Gordon an apology she tells him as they sit in the car waiting. She misjudged him, her feelings for Barbara clouded her judgment. She's glad that they're now on the same side, she just hopes that Barbara is safe. Alfred strong arms Allen before Gordon tells him that Allen is with him. He couldn't take a direct approach to the house, refusing to put them in danger. Alfred brings them to the main house. Montoya and Allen meet Bruce. Gordon tells him that he knows that he promised to find his parents's killer. He's upset some very powerful people, and Bruce wants more answers. He doesn't want to be treated like a child. Gordon admits that he may be killed because of his work, and that if he dies that Bruce can trust Montoya and Allen. Alfred asks what he can do to help, but Gordon doesn't want any help. Bruce embraces him. In Gotham, Penguin leads Maroni's men to the place. Inside is a whole lot of cash, and Falcone's men. Frankie plants the bomb and blasts the door, while his men shoot up the place. Penguin gushes about the ease of the plan. Frankie sees Penguin as nothing more than a yellow belly snitch, who has Maroni too tangled up. Penguin understands that, but there's a bigger problem. If you know what your enemy desires most, you have what is needed to take him down. Frankie's passion is for money, but he's an utter cheapskate. Frankie's men grab him. He doesn't pay his men well, and they jumped at a bigger paycheck. Penguin kills Frankie as he goes on about the downfalls of passion. Love conquers all. Maroni and Falcone meet on a pier. They both lost good men, and Falcone wants to end the bloodshed. Business is good, and there's no need to both go down over something so trivial. He sees now that Penguin is valuable to Maroni, and he's willing to let him keep his pet unharmed. As an act of good faith, Falcone thinks that he should give him something too, like a warehouse. Maroni isn't playing. He likes Penguin, but not river warehouse level of like. At Penguin's suggestion, he offers him Indian Hill. It's in Arkham, a toxic waste dump built on top of an Indian burial ground Fish tells him with distaste. She thinks its worthless, but Falcone is game. He sees the worth in it. Maroni heard of Zsasz chasing Gordon through the Gotham precinct and asks if he's been caught yet, he hasn't. Gordon gears up, loading his guns and preparing for the worst. A drunken Harvey pays Gordon a visit. He knew that Gordon would be in his apartment, which is the last person he should be. He still thinks that Gordon is a douchebag, but he has moral highground, and Harvey thinks he's going down anyways, so he may as well go out a hero. Gordon still plans to take down Maroni, Falcone, the mayor and their associates. Its suicide, but Harvey is still on board. Gordon sneaks up on the Mayor as he enters his car. He serves the Mayor with an arrest warrant. He doesn't find it very funny, but Gordon and Harvey aren't joking. The mayor is driven to see Falcone, and his men let the Mayor right into the front gates. Gordon escorts the Mayor in, and tells Falcone that he's under arrest. Falcone doesn't think that they'll make it to the street. If he resists then he'll be shot an killed, even if that means that they all go down. Falcone thinks their last man standing act is admirable, that they truly believe that they have nothing to lose. He asks Gordon how he would feel if he told him that he has a knife at Barbara's throat. Gordon doesn't think that he does, but Falcone is no liar. He sent Zsasz after Barbara. Gordon is hesitant. He sent Barbara away, but Falcone tells him that Barbara came back to beg for his life. Gordon tells him to prove it, but Falcone wants his trust. Harvey tells him that he's lying, but Gordon doesn't look like he's willing to take the chance. Barbara is indeed back in Gotham. Liza is busy baking muffins with Zsasz watching. She offers one to Barbara who turns her down as Zsasz gets the call to bring Barbara in. Harvey nettles Gordon about folding on Falcone's bluff. He was okay going down in a blaze of glory, but not with barely a whimper. Zsasz brings Barbara in, and Harvey realizes it was not a bluff. They questioned Barbara, but she's mostly fine. Falcone wonders what to do with Gordon. By rights they need to die. The Mayor makes a break for it before it gets ugly. Gotham needs men like Gordon and Harvey. Good men, he once told Gordon that he wasn't the enemy and he isn't. Anarchy is the enemy. He tells Gordon that they can leave, but Gordon wants to know what the catch is. The catch is that someday soon, he'll see Falcone is right. At home, Barbara apologizes, but Gordon quiets her with a kiss. Falcone enjoys Liza's muffins. She followed the recipe, cooking is easy. He apologizes for the ugliness she may have witnessed, but she's not upset by it. Falcone goes to see his chickens when Penguin comes for a visit. He remembers the night they met. While Harvey and Gordon were strung up he went to chat with Cobblepot. Cobblepot offered to tell Falcone a great secret in exchange for letting Gordon kill him. Falcone wanted him dead, but Cobblepot reasoned that Gordon was the only honest man who may spare him, and if he chose to then Cobblepot would become his snitch. 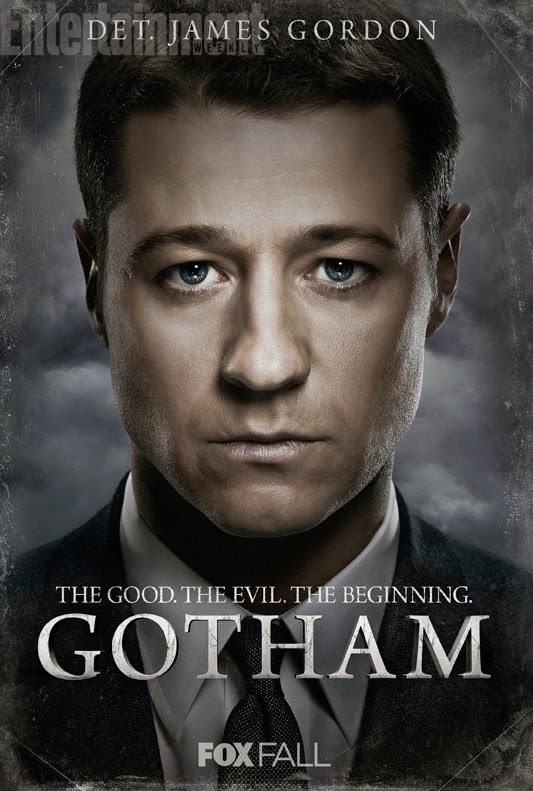 He would make his way back to Gotham under a different name and worm his way into Maroni's good graces. He has a knack for this type of work. Falcone agrees to give Gordon the job. Cobblepot spills his secret. Niko and Fish are lovers, and Fish is pushing Niko to kill Falcone and take over, so she can take it from him. It was a very good secret. Everything played out just as Cobblepot said it would. Falcone thinks that it may be a mistake to let Gordon live, but Cobblepot thanks him for doing him the favor and letting Gordon live. Cobblepot is sure that one way or another Gordon will come to the light.